Just one problem with that $93 trillion that the MRC is touting: it's a bogus number. As Media Matters documents, the American Action Forum -- the organization that orginiated the figure -- is funded by fossil-fuel interests, who stand to lose under the Green New Deal and have a vested interest in denigrating it. And Politico notes that even AAF leader Holtz-Eakin, whom Seymour portrays as an authoritative figure and thus a reason the number should be believed as credible, admits the number is bogus because any precision in that great of a number is "illusory." Further, much of that number is "based on assumptions about universal health care and jobs programs rather than the costs of transitioning to carbon-free electricity and transportation," Politico writes. Further, even if one insists the number has value, it's contrasted by a a United Nations estimate that even a modest rise in global temperatures could have a global cost of as much as $69 trillion from. If the MRC was honest with its readers, it would inform them that the Green New Deal cost it's been touting has no basis in reality. But we know it has no interest in correcting the record after it spreads fake news. Among the fans of pro football player-turned-minor league baseball player Tim Tebow at the Media Research Center, CNSNews.com commentary editor Michael Morris is positively obsessed with him, mainly due to his ostentatiously Christian faith and not the fact that he's, you know, a failed NFL player who changed sports and can't quite break into the majors there. 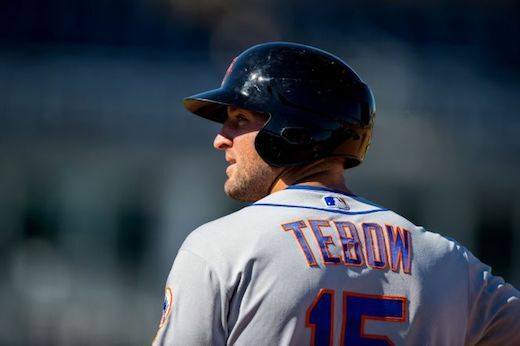 During a Spring Training game against the Boston Red Sox, New York Mets outfielder and former NFL quarterback Tim Tebow recorded his first hit of Spring Training 2019. Tebow, “who hit a dribbler to the pitcher his first time up,” took the first pitch of his second at-bat to the outfield, hitting a single off of Red Sox pitcher #91 Mike Shawaryn. Shawaryn was drafted by the Boston Red Sox in the 5th round in 2016. Mets #15 Tim Tebow has had nine at-bats so far in Spring Training 2019, according to the MLB website, and he currently has an average of .222 and an OPS of .522. On his career during Spring Training, Tebow has had 54 at-bats with an average of .130 and an OPS of .319. That's right -- a baseball player who got his first spring training hit in his ninth at-bat was news, according to Morris. As it turned out, Tebow didn't do much better: He got only four hits in 15 at-bats and began his season in the minors again. And Morris is definitely not going to tell his readers that professional baseball scouts believe it's unlikely he'll ever play in the majors. That's not the only sports-related thing Morris thinks CNS readers -- who aren't there for sports -- need to know. He actually devoted a March 18 post to non-sports guy Kevin Sorbo -- an actor whose political opinions CNS thinks are newsworthy despite its long history of denigrating entertainers who express political opinions -- going even further afield from his area of expertise by complaining that ESPN's "SportsCenter" didn't rank a golfer's hole-in-one high enough. We've noted how the Media Research Center is offended that conservative criticism of liberals of Jewish heritage who support liberal causes with their money -- specifically, from Mouse Minority Kevin McCarthy -- might be considered anti-Semitic, and has sought to reassure conservatives that George Soros is a Jew you're allowed to hate without the threat of religious stigma. Scarborough went into his usual list of purported anti-Semitic controversies involving Republicans. He again falsely accused Kevin McCarthy of warning about "Jew money" in the lead up to 2018 in attacks on George Soros, Tom Steyer, and Michael Bloomberg and went after Rep. Jim Jordan for replacing the 'S' in Steyer with a dollar sign, something "he's never done with a gentile." Tom Steyer is an Episcopalian. Christy is not telling the whole truth about Steyer's religious heritage. 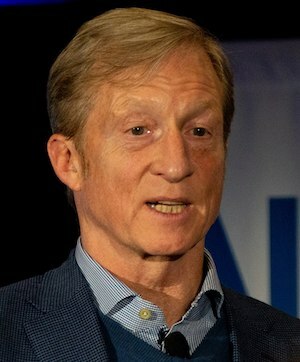 While he is currently a practicing Episcopalian, according to Wikipedia, Steyer's father is Jewish, and Steyer's marriage waspresided over by a rabbi as well as an Episcopalian minister. Is Christy saying that Steyer isn't a real Jew because he's only half-Jewish? That's a strange argument from a conservative organizaion that considers criticism of Ivanka Trump to be anti-Semitic because she married a Jew. Joe Kovacs' March 19 article on the death by suicide of former Obama and Clinton economic adviser Alan Krueger plays it surprisingly straight, sticking to the fact about his life. But that wasn't the point of the article: It was a dog whistle to WND's readers that it was OK to speculate whether the Clintons played a role in Krueger's death. After all, WND remains one of the biggest promoters of the discredited "Clinton Body Count." And speculate they did: the article attracted 145 comments, many of them advancing the bogus "Clinton Body Count" conspiracy theory. In case Kovacs' article was too subtle, the point was made clear with the front-page promotional headline: "Top Obama-Clinton adviser 'commits suicide.'" Note the scare quotes around "commits suicide." WND can't claim it's a direct quote from a source in Kovacs' article because it doesn't exist. Kovacs wrote that Krueger "committed suicide" (without the scare quotes), and he quotes a family statement that Krueger "took his own life." Wasn't WND managing editor insisting just the other day in Joseph Farah's stead that WND is a "truth-oriented" website? Yeah, not so much. MRC analysts looked at the 10 interviews Blitzer conducted with lawmakers (all Democrats) on his show during the week spanning Monday, March 3 to Friday, March 8. 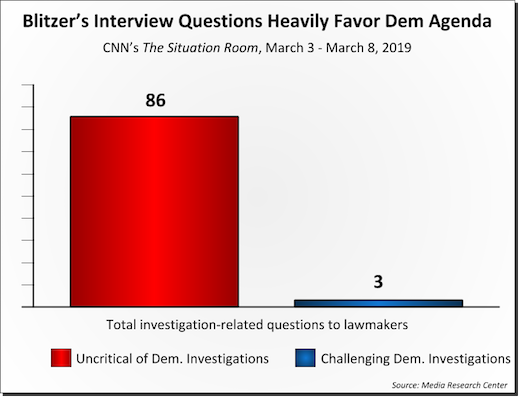 Throughout those ten interviews, the CNN host asked only three questions (3%) that suggested the numerous House investigations into the President might be partisan or politically motivated. The remaining 86 investigation-related questions (97%) either accepted at face value the importance of these inquiries, or else pressed Democrats to go even further in their oversight role. Blitzer framed his paltry three challenges to Democrats as party-line criticism coming from Republicans (“as Republican are alleging…”, “Republicans say…”). In each case he asked no follow-up questions regardless of what answer he received. The point of this "study" is to complain that Blitzer isn't advancing the MRC's agenda by automatically assuming that Democratic investigations into Trump are partisan witch hunts. As usual, the MRC does not share the entire list of 86 questions, though it does cite a select few it claims proves its point. But D'Agostino is such a rabid Democrat and CNN hater -- as one must be to get a job at the MRC -- that even neutral and objective questions from Blitzer are offensive to him. The point is that D'Agostino and the MRC don't want objectivity and neutrality in their media -- they want it to be as biased as their own "news" division, CNSNews.com. We suspected something was amiss when Joseph Farah's WorldNetDaily column went into reruns for the past couple weeks without explanation -- the first time we can recall that happening. Whatever else one can say about Farah, we know he was proud of writing six original columns a week. We’re all living through a period of unprecedented turmoil, wherein one political party has somehow become totally disconnected from reality – promoting insane, catastrophic “solutions” to nonexistent crises while denying obviously real crises and slandering or censoring all who disagree with them. I can honestly say, having personally spent more than 35 years in the news media, I’ve never seen a greater need than right now for genuinely truth-oriented, pro-Constitution, pro-Judeo-Christian journalism. That’s the niche WND has striven mightily to fill since its founding back in 1997 as America’s first online news organization. And with the Good Lord’s help, that vital work will continue. Yeah, about that ... ask Barack Obama or Seth Rich's parents how "genuinely truth-oriented" WND really is. That said, best wishes to Farah for a full recovery. You probably remember CNN’s town hall to promote gun control and gun grabbing in Parkland, Florida last year. It’s hard to forget such a disgraceful display of exploitation, naked partisanship, and vile hatred. Oh, and let’s not overlook the fact that host Jake Tapper was the ring leader enabling the circus. CNN Parkland Town Hall, a two-hour special, aired only seven days after 17 students and teachers were murdered by a gunman at Marjory Stoneman Douglas High School. In this “compelling and powerful” forum, moderator Jake Tapper deftly gave generous space to speak to gun control advocates, politicians, Parkland students, parents and a representative from the NRA. The program helped “advance the national conversation on gun control and violence,” the jury said. “Advance the national conversation?” That’s code for: advancing the liberal agenda (gun control in this case) under the facade of legitimate reporting. What Fondacaro didn't do, however, is express any remorse -- let alone apologize -- for the MRC's key role in spreading an anti-CNN hoax involving that town hall. As we documented, Fondacaro gave major play to the claims of Colton Haab, a shooting survivor, that CNN tried to script his questions for the town hall. 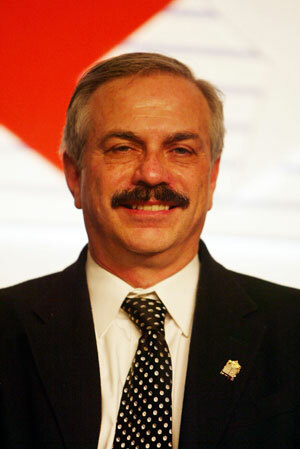 Even when CNN released the email exchange between it and Haab, which proved that Haab and his family doctored the record to fraudulently support the "scripted" narrative, Fondacaro continued to insist CNN was the one who was lying and couldn't be bothered to tell the full truth to MRC readers -- even after Haab's father admitted he doctored things and even when others who promoted the false narrative did correct the record. Further, Fondacaro's original posts are unaltered and still promote the hoax. Fondacaro promoted a hoax about the CNN town hall, still refuses to tell the truth about it -- and yet he's still raging that it wasn't fair to his right-wing agenda. If that's not a classic definition of cognitive dissonance, we don't know what is. And he degrades any credibility the MRC might have when it demands that false claims be corrected. Malik Obama, a half-brother to Barack Obama, has been known to throw verbal bombs. This time he’s wondering about Michelle Obama, Barack’s wife. The American Mirror blog said it recalled a “conspiracy theory” that the former first lady is a man. Needless to say, WND offers no proof to back up this conspiracy theory -- nor does it mention that Malik Obama apparently has a personal grudge against Barack and Michelle. As we've noted, Malik has previously teamed up with (or agreed to be exploited by) anti-Obama liar and charlatan filmmaker Joel Gilbert and "the world's worst journalist" Charles Johnson in an attempt to smear the former president. So Malik is more than just a bomb-thrower -- he's so filled with hate that he can't be trusted. The fact that WND is also relying on the far-right American Mirror -- an untrustworthy source -- is another red flag as to just how desperate it is to smear. The article also noted the American Mirror's claim that "In 2017, Malik Obama tweeted an image of what appears to be Barack’s birth certificate. Except it’s not from Hawaii, but rather Kenya," but it didn't tell readers that the certificate was so obviously a fraud that eveb WND itself said so at the time (though it portrayed it as authentic when it first surfaced in 2009). WND still doesn't seem to understand that its obsessive hatred of Obama destroyed what little trustworthiness it could claim, and pushing fake news and conspiracy theories -- many about Obama -- is one big reason why nobody believes WND and it remains close to going out of business. A while back, we noted how the Media Research Center complained that the media hyped President Trump misspeaking when ignoring what he had to say about "important topics" -- never mind that the MRC had no problem obsessing over President Obama when he misspoke and ignored his overall message. Well, the hypocrisy is even deeper than that: The MRC's "news" division, CNSNews.com, has similarly focused attention on the missteps of Democratic politicians. Rep. Rashida Tlaib (D-Mich.) struggled to find the right words on Wednesday, when she tried to reassure supporters that she’ll soon begin efforts to impeach President Donald Trump. “Later on this month, I will be joining folks and advocates across the country to file the impeachment, um, ah, um, oh, my God, what is the expression? At her weekly press briefing on Thursday, House Speaker Nancy Pelosi (D.-Calif.) mistakenly suggested that a reporter who was asking her a question had already asked her a question at that press briefing. In fact, the reporter had not—although he said he had asked her two questions the week before. House Speaker Rep. Nancy Pelosi (D-Calif.) twice misnamed Democrats’ “Green New Deal” at her Thursday press briefing, despite being told the climate change proposal’s correct name by the reporter questioning her. It doesn't help the MRC's credibility when it can't be bothered to hold its own "news" division to the same standards it demands "liberal media" outlets adhere to. CNN allowed George Conway, the husband of White House adviser Kellyanne Conway, to accuse President Trump of mental illness, with the network refusing to acknowledge that George Conway is not a mental health professional. Even as liberal outlets like CNN claim to be pro-science, its coverage of George Conway’s tweets failed to provide any credible scientific analysis of the explosive claims. “His condition is getting worse,” George Conway tweeted Sunday, also attaching screen captures of the medical definitions of narcissistic personality disorder and antisocial personality disorder from the Diagnostic and Statistical Manual of Mental Disorders. First: CNN didn't "allow" Conway to make that claim -- it simply reported on him making them. Second: Sheffield might want to check her employer's archive, since it contains numerous examples of AIM writers -- none of whom, as far as we know, are mental health professionals -- making the same exact claim about president Obama. Spencer Irvine, son of AIM president Don Irvine, wrote two posts counting the number of times Obama allegedly referred to himself in speeches, both of which ended with the statement "Narcissist, much?" A 2016 column by James Zumwalt -- now a WorldNetDaily columnist -- declared that "bama is a grandiose narcissist" who is "self-absorbed with an overwhelming sense of superiority." Zumwalt echoed Conway by linking to an article describing narcissistic personalities. 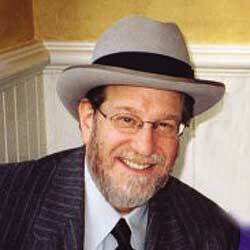 A 2015 column by Lawrence Sellin asserted that "Obama behaves like a dictator not just because he is a narcissist, but because his political beliefs are, at their core, authoritarian." It pays to check the archives in order not to come off as a hypocrite. One standard rhetorical tactic the Media Research Center loves to engage in is whataboutism -- defecting from an allegation against an ally by claiming an opponent is doing the exact same thing. Its response to the devastating New Yorker story on Fox News is a good example of how this works. So it's a bit funny to see the MRC accuse others of whataboutism. 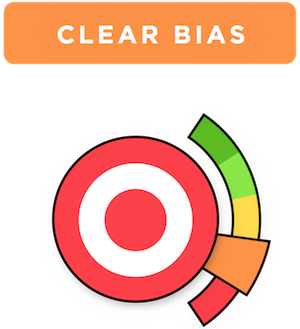 For some reason, it did this a lot regarding people taking about Msulim Rep. Ilhan Omar's statements critical of Israel. 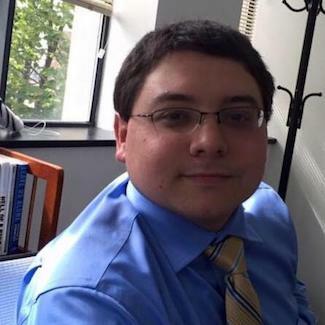 Alex Christy complained that MSNBC guest Sam Stein noted that "many liberal Jews have many of the same problems with Benjamin Netanyahu that Omar does" then "moved to the real story: anti-Muslim behavior. 'This is not whataboutism, although it's going to come across that way, but there is and has to be a better understanding of the degree to which anti-Muslim behavior isn't just rhetorical, but it permeates our politics in ways people don't totally appreciate,' Stein declared." Christy added: "Perhaps, it sounds like whataboutism, because it is." Curtis Houck similarly huffed that "Kirsten Powers became stricken with an embarrassing case of whataboutism" by "blasting President Trump and suggesting that criticism of Omar has been Islamophobic and sexist." In another post, Houck didn't use the word but described whataboutism in practice by claiming that CNN's Erin Burnett "and two panelists spent over 10 minutes trying to muddy the waters on anti-Semitism, downplaying Minnesota Democratic Congresswoman Ilhan Omar’s long history of anti-Semitic comments because the President’s Charlottesville comments and white supremacists are the ones worth denouncing (instead of both)." Houck then asserted that Burnett "smugly went after Trump as a raging hypocrite, implying he’s okay with anti-Semitism" -- even though Burnett provided examples of such that Houck didn't dispute. As we've noted, Houck has previously tried to handwave Trump's anti-Semitic tendenciees by arguing that Trump "didn't know what he was doing" when he tweeted an image showing Hillary on a pile of cash with a Star of David shape reading, "Most corrupt candidate ever!" A mere four days after the mosque masscare in New Zealand, MRC Culture managing editor Matt Philbin had had enough. He was clearly tired of hearing about murdered Muslilms, and he wanted in on some of that massacre coverage action for his own religion. People in and out of media are having a useful discussion these days: Since it’s clear terrorists like the animals in Christchurch want recognition, what is the appropriate way to cover their outrages? How much information should be available about the murderers and their intentions? When it comes to more routine outrages that happen across the Third World, the question for the media is simpler: Should we cover it at all? Most often, the answer is no. Certainly not if the perpetrators are Muslim and the victims Christian. But really, no combination of aggressor/aggrieved is of much interest to the media because, for all their one-worldly pretensions, they don’t much care about violence outside developed Western nations. ABC, CBS and NBC have all ignored the extreme violence against African Christians occurring in the last month. Varying reports say that anywhere from 120 to 280 Christians have been slaughtered by Islamist militias in Nigeria since Feb. 9. 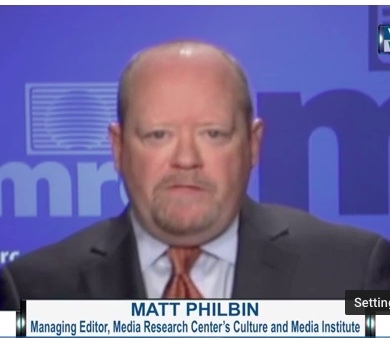 Philbin then slipped into MRC conspiracy mode, complaining that the media had insufficiently covered "violence against Christians in majority Muslim countries" and whining that "Islamist violence hasn’t disappeared, the networks have only gotten worse at covering it. Philbin's point is all too obvious: Dead Christians are inherently more newsworthy than dead Muslims, and even more so when Muslims can be blamed for it. Rep. Ilhan Omar was alway going to be hated by WorldNetDaily for being a Muslim -- indeed, WND has been hating her since 2016, when she won state legislative race in Minnesota and Leo Hohmann ranted she was the face of "cultural jihad." But Omar's criticism of Jewish interests in politics, which came off as anti-Semitic, made that WND target on her back even bigger. Terrible lawyer Larry Klayman claimed in his Feb. 22 column that he is trying to get Omar deported because, among other reasons, "She has apparently, at a minimum, by way of marrying her brother so that he could ultimately become an American citizen, committed immigration fraud, for which, if demonstrably proven, she could be denaturalized as an American citizen herself and be deported back to Somalia or Kenya, from which she hails." He then laughably claims he has no "enmity aginst Ilhan Omar." A March 7 article on Klayman's petition to deport Omar uncritically repeated his unsupported claim that Omar "married her own brother in a sham marriage constituting immigration fraud." A March 14 article rehashes the claim as made by right-wing media outlets, though it does concede that "Omar vehemently denies the claim" and that any actual evidence presented so far is "circumstantial." On March 22, WND touted that "U.S. and British officials have been informed that the man to whom Rep. Ilhan Omar, D-Minn., was married for eight years is her brother, according to a reporter who has investigated the claim." But even that reporter apparently -- from one of the above right-wing otuets -- isn't sure, admitting is work is being "vetted by lawyers." He did whine, however, that "Most of what I have published has been ignored" -- perhaps because he has offered nothing but "circumstantial" conspiracy theories? Up until age 10, Omar enjoyed a pretty good life in Somalia – a Marxist-Leninist socialist state under the brutal dictator, Mohammad Siad Barre. Her family reaped rewards for supporting Barre and was only forced to flee in 1991 when he fell from power. Ironically, after her family supported an inhuman Somali dictator, Omar denies President Trump’s humanity. 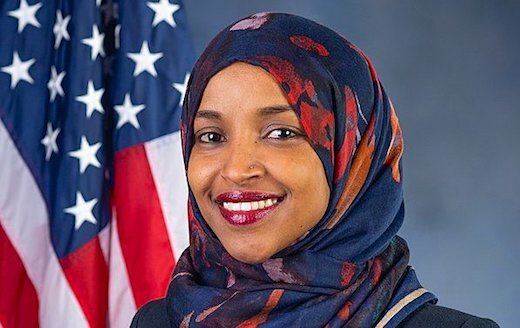 Strangely, the congressional representative from Minnesota, born in a Muslim country unaffected by any ill effects of Jewish influence, somehow immigrated to the U.S. with a severe case of anti-Semitism. Concerned Democrats, although we will not see it happen simply because they are not, should research how this really occurred. Omar’s anti-Semitism was not the result of any personal anti-Muslim experience suffered at the hands of Jews; it resulted from Islamic indoctrination demanding, like the Holocaust, their elimination. Anti-Semitism, taught to 70 generations of Muslims since Islam’s founding, continues with Omar’s. It is part of her Muslim DNA. Pelosi needs to attend Friday prayers at a mosque. She would be hard-pressed to find one not promoting anti-Semitism. How many times have we heard imams in the U.S., confronted over making anti-Semitic statements, only to placate their critics of the moment? Such indoctrination makes Omar’s defense by Democratic Rep. Jan Schakowsky of Illinois, rationalizing she be given leeway due to her Somalia upbringing, absurd. As a Jew, Schakowsky knows Omar’s anti-Semitism is an unabating hatred. Did these two Muslims lie about upholding the Constitution? Can one be a devout Muslim and uphold the U.S. Constitution? Muslims are required to live under Shariah, which is deemed divine law and which does not permit them to live under any other legal system. Devout Muslims believe that the U.S. Constitution is just human law and is, therefore, inferior to the divine law of Shariah. How can a devout Muslim recite the Pledge of Allegiance – “one nation under God ” – when a Muslim is a citizen of international Islam required to live under Allah? Either these women are ignorant of the implication of their pledges, or they are purposely lying. However, this action of lying or dissimulation – taqiyah – is not only condoned, but recommended to Muslims in the Quran. Therefore, a Muslim can and will lie without any compunction, if it is necessary to protect or further Islam. Haynes concluded by ranting that Omar's political success "most certainly embolden more Muslims to seek political office. Beware, Americans. We may be closer to a Shariah state than we realize. It doesn’t matter if most Muslims are peace-loving. It matters that more than 300 million are committed to jihad and are satanically immutable. America cannot afford to ignore the question of what happens as more and more Muslims like Omar and Tlaib get elected to every strata of government? What happens as more and more Muslims like Omar and Tlaib obtain powerful industry positions and are appointed to federal agencies and our courts? What happens as more Muslims like Omar and Tlaib become the heads of major universities and colleges? These questions must be examined. Omar and Tlaib are proof that America has allowed this evil to metastasize, and if we’re to survive as a nation, we must exercise our right to vote to ensure these types aren’t elected. We must also exercise our constitutional right to have Omar and Tlaib removed from office. Rabbi Aryeh Spero, along with numerous Christians and Jews, gathered at the Capitol Hill office of House Speaker Nancy Pelosi (D-Calif.) on Thursday to protest the apparent growing anti-Semitism in the Democratic Party and specifically the anti-Semitism of Rep. Ilhan Omar (D-Minn.). Madajian served up his own softball question to Spero: "What would you say was [Rep. Omar’s] most egregious example of those anti-Semitic remarks?" Surprisingly, he did acknowledge there was another side to the story, noting that there were "half-a-dozen counter-protesters from Code Pink, though he claimed the group "supports Palestine over Israel."